◉ TRANSFORM YOUR RIDE – Convert your old bicycle into an e-bike with a 20mph top speed, powered by a removable & rechargeable 36V battery. ◉ FITS ANY STANDARD BIKE – Simply remove the front wheel of any bike and replace it with the GeoOrbital wheel-and pedaling becomes completely optional. ◉ TRANSFORM YOUR RIDE – Convert your vintage bicycle into an e-motorbike with a 20mph most sensible pace, powered via a detachable & rechargeable 36V battery. 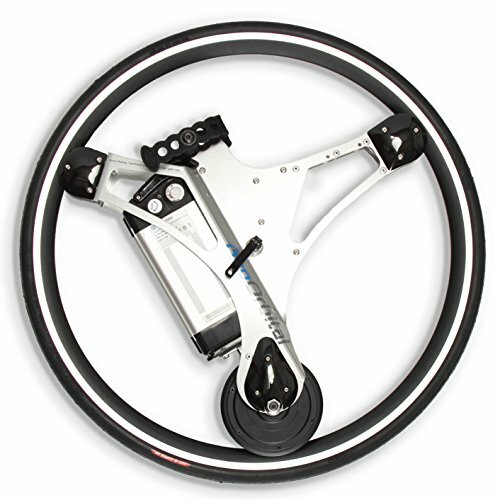 ◉ FITS ANY STANDARD BIKE – Merely put off the entrance wheel of any motorbike and substitute it with the GeoOrbital wheel-and pedaling turns into totally non-compulsory. ◉ GOODBYE FLAT TIRES – unique hello-density foam tire acts and weighs the similar as conventional motorbike tires, with out ever getting flat.